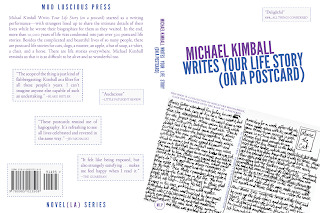 Michael Kimball Writes Your Life Story: It's a Book! 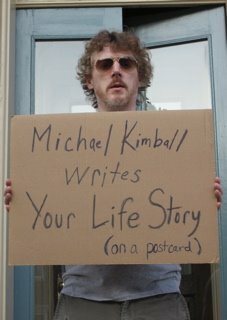 Michael Kimball Writes Your Life Story (on a postcard) started five years ago at a performance arts festival. Between then and now, I wrote over 300 postcard life stories, condensing over 10,000 years of life. 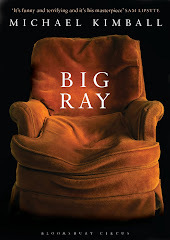 Now it's a book. 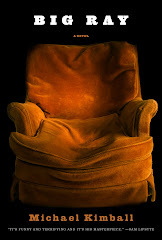 You can get it directly from Mud Luscious or from Amazon. 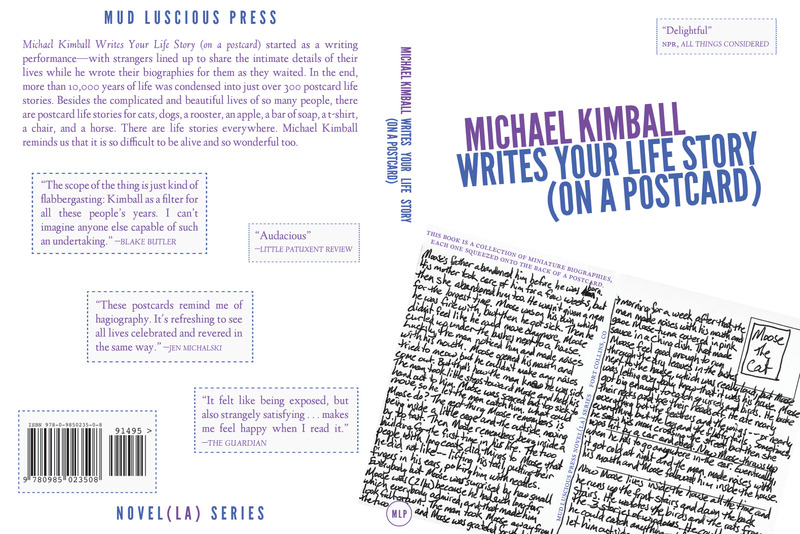 Unfortunately, I couldn't publish everybody's postcard life story in the book or it would have come in around 700 pages. 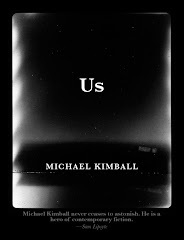 So the book is a selection from the project. Here's the Table of Contents: #45 Adam Robinson, #46 Karen Lillis, #52 Josh Maday, #49 Red Delicious Apple, #66 Blake Butler, #67 G, #70 Elizabeth Ellen, #75 Moose the Cat, #76 Deborah Ling, #91 Kathryn Jachowski, #98 Chair, #100 Jonathon Bender, #101 Elizabeth Crane, #102 Shanti Perez, #103 Rachel Joy, #111 Aaron Goolsby, #114 Sammy the Dog, #117 Baby C, #118 Nate Jackson, #125 J, #129 Matt Bell, #130 El Duque the Cat, #131 Tao Lin, #133 Rahne Alexander, #137 Rhode Island Red, #141 Steve Katz, #149 Christopher Douglas Bowles, #158 Patrick King, #161 L, #166 Beowulf the Cat, #167 Ken Baumann, #170 T-Shirt, #176 Cyndy Taylor, #184 Stephanie Barber, #188 R, #195 Kaya Larsen, #197 A. Jarrell Hayes, #199 Luca Dipierro, #200 Grendel the Cat, #209 Julie Riso, #210 F, #221 Effie Gross, #228 Nick Kane, #240 Monte Riek, #242 N, #249 Umbrella Cover, #255 Andy Devine, #263 Edgar Allan Poe, #265 Abby the Horse, #267 Michael Kimball, #280 Brin-Jonathan Butler, #282 Robin Black, #288 Stephen Graham Jones, #290 Catherine Lacey, #302 John Quincy Adams, #304 Shannon Sullivan, #307 Soap.